This week's collaborative topic is Incorporating Music in the Classroom, although I am SO not musical. My poor piano teachers (yes, that's plural) ALL made me practice with a metronome ticking away to help me keep the beat, but I still cannot play with both my hands simultaneously! Luckily, my husband is VERY musical & can play any instrument he picks up, so our youngest daughter has a chance! Lol! Although I myself am not musical, I LOVE using music in the classroom and thing it is so important, especially for those !! 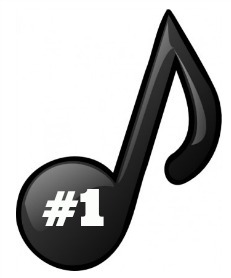 Setting the Tone: Use music to welcome students into class each morning. As my kids walk in, I always have music playing. It's usually classical (Vivaldi or Mozart are my favorite), or George Winston (an amazing pianist), or Jake Shimabukuro (an incredible jazz ukulele player from Hawaii). I have a teacher friend who likes to play hard rock in the morning; however, my choice of morning music is a little more calm. (And it starts off MY day peacefully!) I stand at the door & greet each child by name (& they must look me in the eye and return the greeting). My music rule is: as my students walk into the room, we all must be able to hear the music! Music for Learning: We all hear the common lament from parents that their kids can memorize the lyrics to every song on Radio Disney, but they still don't know their math facts! Drill & Kill or music? There are TONS of incredible teacher-friendly lyricists and composers out there!! One of my favorite musicians is Tim Bedley & his CD, Rockin' the Standards. Bedley is a veteran elementary school teacher who has taken familiar tunes and changed the lyrics to help kids remember what they''ve been taught in school. Through music, kids will learn academic standards in the process! Some of my class' favorites are: Plural Y & F (teaching spelling to the tune of Oh When the Saints Go Marching In), The Writer's Song (teaching the writing process to the tune of I've Been Working on the Railroad), and Parallel or Perpendicular (teaching types of lines to the tune of Do Your Ears Hang Low). Whenever we learn something new, my kids ask, "Is there a song to go with it?" Classroom Management: All kids eventually tire of hearing their teacher's voice. You know the old Peanuts cartoons where the adults are always represented by "Wah wah, wah, wah, wah . . ." Even if we have a commanding presence and voice, our students soon grow used to the "noise" and are less attentive than we'd like them to be. In comes music as cues & directions! If you've never visited Rick Morris' website, then you must RUN there!! He has almost every management strategy or tip you have ever been meaning to ask!! Rick's premise for using music is: "It's a non-verbal cue in a voice-dominant environment." In fact, research indicates the teacher's voice accounts for approximately 80% of the total volume in the classroom. Using TV theme song music (no words) gets students to follow through on class procedures. For example, we use the theme song to Mission Impossible, to signal students stopping what they are doing and come to the rug. (And you can only imagine students tip-toeing stealthily to the rug!). When playing the NBC theme song, instead of the traditional "N-B-C" association, my students know the three chimes mean "Name, number, date." Check out more suggestions here. One of Morris' latest projects is called Sound Project: SP14's project mission is to produce music compilations for classroom use. Specifically, songs from FreePlayMusic that will help students become more productive. Teachers can submit playlists of songs & how they are used in the classroom. So have no fear if YOU are not musical, there are still so many benefits to using music in the classroom! How do you incorporate music? 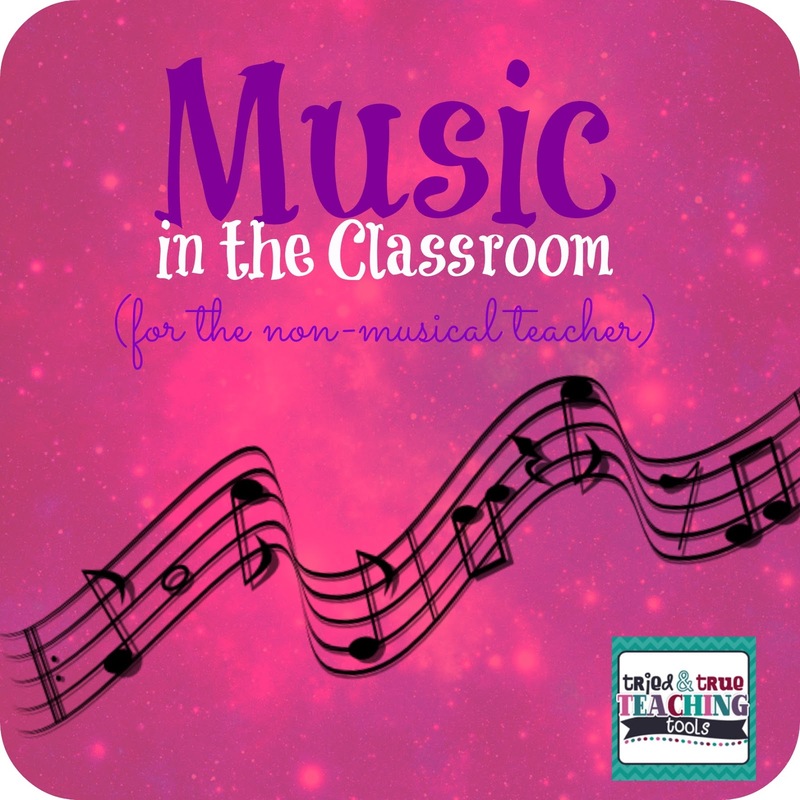 I love the way you incorporate music into your classroom. They must love coming in each morning to "The sound if music." I just know it calms them right down and makes your life a bit easier. So glad I found your blog! I got your response on the seller's forum. I am going to Vegas, too. After Vegas we should certainly try and make our blogs take off! Hopefully we can make some friends and gain some followers! By the way, I am moving to 4th grade this coming school year, so I will be checking back for your good ideas! Glad you found me, Mindy & I look forward to meeting in Vegas!! You will LOVE 4th grade; it's my favorite!! Love this! I never thought of mission impossible to the carpet before. That's a great one! Thanks for sharing! What a thoughtful post. I am especially struck by the idea that 80% of the volume in the room comes from the teacher's voice! Wow. Music cues are a great idea! I know; we don't even realize how much we talk!! Lol!! :) Thanks for stopping by!